Saw scaled viper or as smart zoologist guys call it Echis Carinatus is a snake found in Middle East and Central Asia, most commonly India. So to start explaining what is so special about this cold blooded murderer, at first you have to know that there is such a thing called the ‘Big four’ – the saw scaled viper, the common krait, Russell’s Viper and the binocellate cobra. This so called quartet of doom accounts for 15 000 – 20 000 human deaths a year in India alone and some scientists put the saw scaled viper’s death toll at about 80% of the total. This reptile actually does not have the most potent or effective venom, neither does it inject enormous quantities of it. 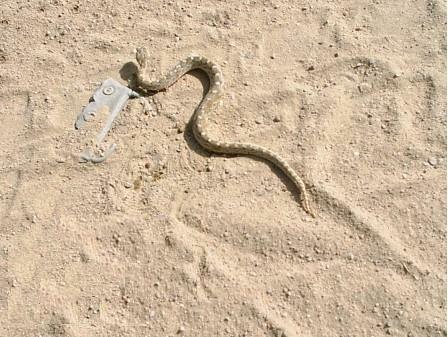 The key of this snake’s deadliness lies in its choice of habitat and its aggressiveness. Although the saw scaled vipers do not often seek shelter or prey in people’s homes, they often live in close proximity to humans. And here the extreme aggressiveness comes in. In situations when other snakes would probably run (slide) away or ignore you this nasty fellow will most probably strike, it will answer with all the wrath Mother Nature has given it at the smallest provocation. Also the fact that these snakes are nocturnal, meaning they hunt at night does not help. It is fairly hard to notice this snake. 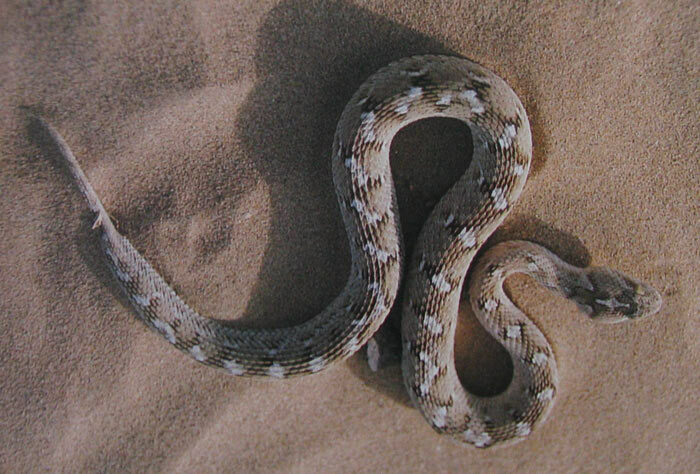 It is usually 38-60 cm’s long, olive brown color and likes to live in sandy environments where it can practice sidewinding (kind of like sliding sideways) at which it’s really proficient. One of the reasons the snake does it is that this helps it from over-heating as when sidewinding only two points of the body touch the ground. 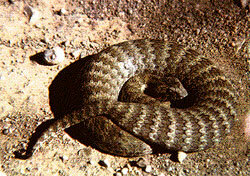 Another characteristic of this reptile that makes it a nightmare for the average bare – foot walking Indian farmer is that the saw scale viper is not picky in its diet. It eats rodents, frogs, lizards, beetles – well, anything that is small and available, because this snake is widespread and there are quite many of them. Also the reproduction is fairly specific. These snakes let the eggs hatch inside the body and give birth to 3 – 20 young at a time. The small snakes are usually about 10 cm’s long. As with many animals some people wish they would be at the verge of extinction as those ‘little brothers’ seem to be more of a bother than of any use. 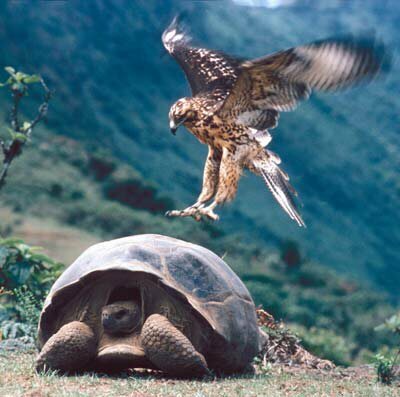 However they still have an important mission – keeping rodents and other nasty creatures like scorpions at bay. And currently it seems this species is not facing extinction. Monitor lizard is a habitant of mexico. it is very poisionous.